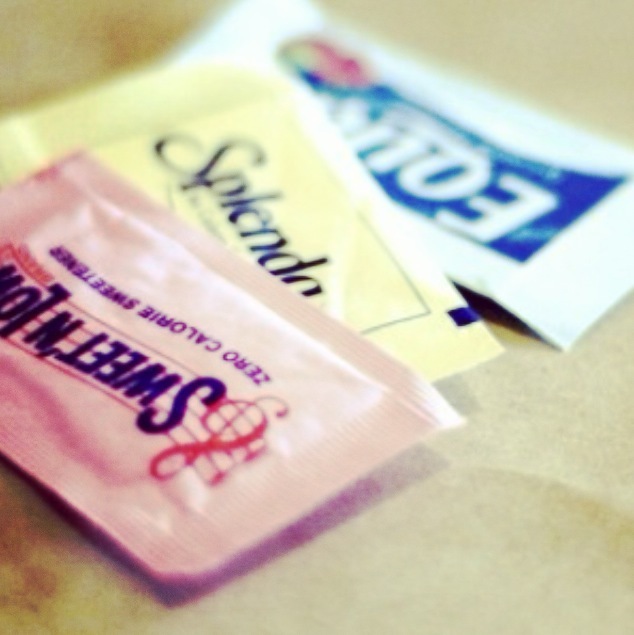 Sugar vs. Sweetener…The great debate. When I grab a coffee from the Starbucks down the street, I always head to what I (fondly) call the “sugar bar.” I’ll stand and stare at the sweet assortment, mulling over my options… I’ll often snag one of the pastel packets, patting myself on the back for dodging a few calories…. I’m not alone either. According to a 2006 survey from Mintel Reports, 61 percent of U.S. women use artificial sweeteners daily. But should the number of calories in a tablespoon-sized packet be priority in our decision-making? 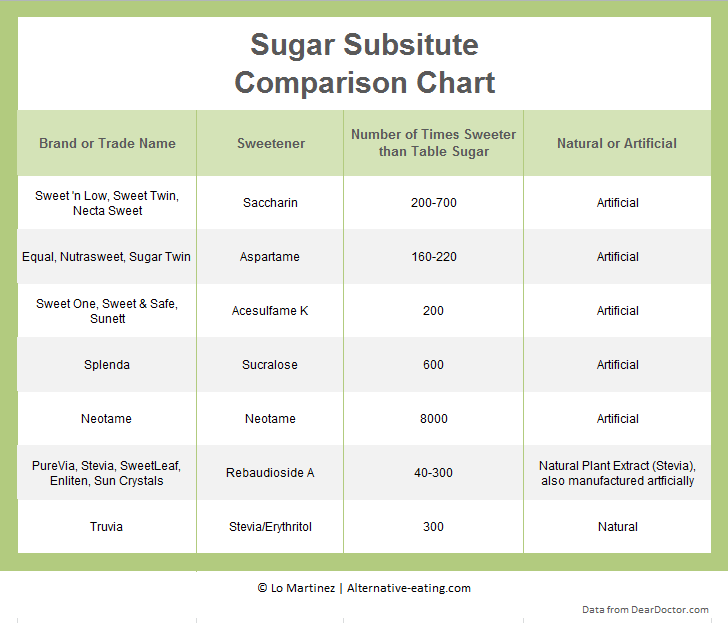 Artificial sugars are dramatically sweeter than raw and table sugar. This might be obvious, but seeing just how much sweeter, was shocking to me (chart below). This knowledge in mind, it made sense that artificial sweeteners could disturb the body’s ability to count calories or cause unnatural cravings… I think it’s time to put down the colorful packets and pick up the white (or even better, brown). The numbers made the difference for me… How about you?